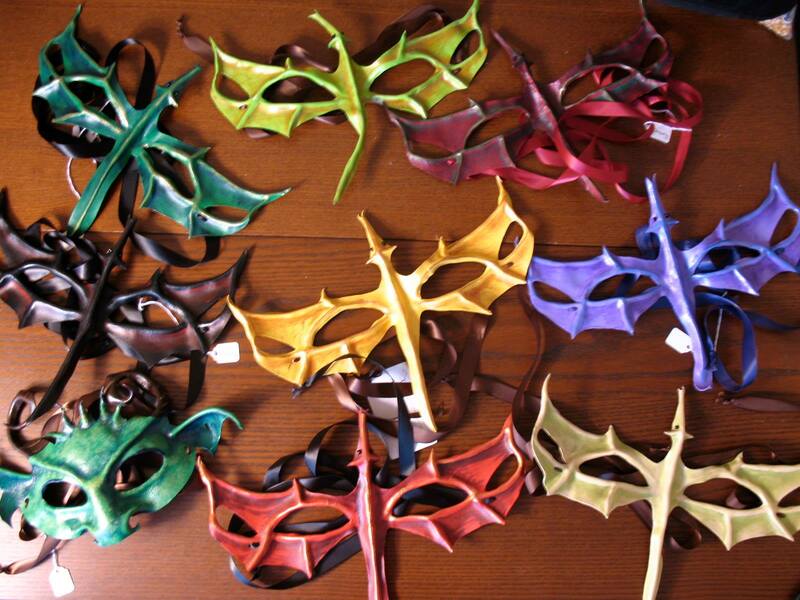 Leather masks by Christina Hughes, just part of what will be on auction at the Black Friday Gala. What better way to end Black Friday than relaxing with local talent and helping to plan the future of theater in Tacoma? Don’t wait in line in the cold and wet! • Thrill to selected scenes from the upcoming season! • Shop till you drop at the Silent Auction! • Share your Thanksgiving leftovers at the Dessert Potluck! • Dance to the world’s most eclectic DJ! • Support innovative, local theater! 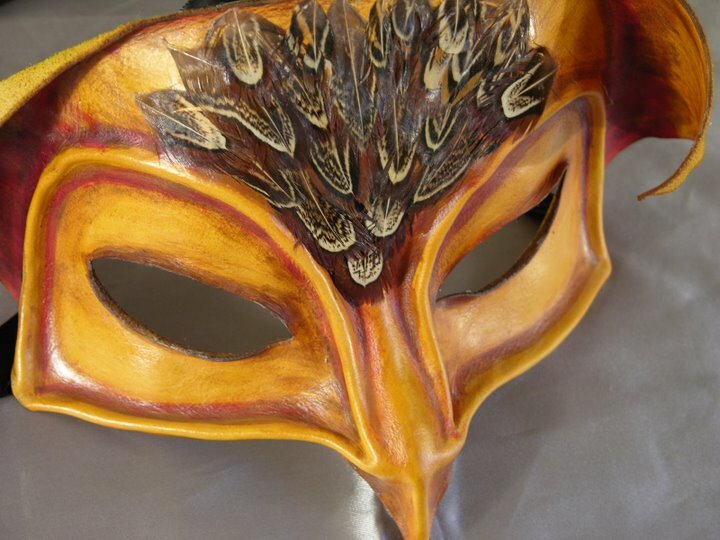 Detail shot of a leather mask made by Christina Hughes from Working Class Theatre NW. 5. Guest role in Space Puffs! 12. Handknit socks for the recipient of your choice. Guaranteed by November 2014.